Meeting Susan Gordon, from Attack of the Puppet People and Tormented. Last night I returned home from two days at Monsterpalooza, which was held at the Burbank Marriott in (where else?) Burbank, CA. 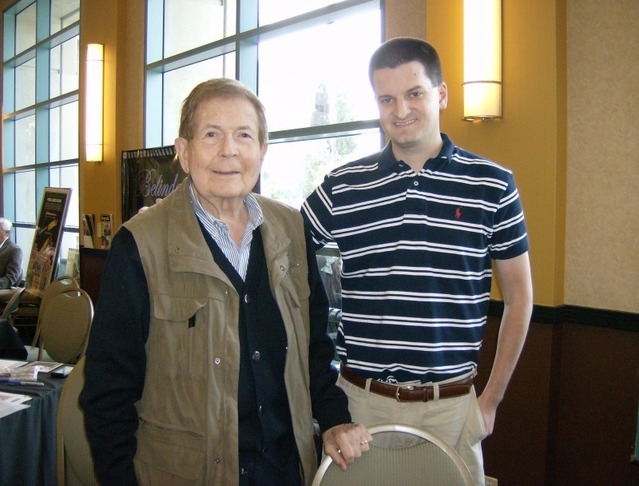 I had a great time meeting the guests and seeing some old friends, like Don Glut. I even ran into a costuming thread volunteer who regularly attends G-FEST. Small world! 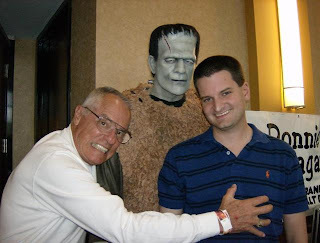 Since Dennis Druktenis asked me to review Monsterpalooza for his excellent magazine Scary Monsters, I'll save the majority of my comments for my review. Plus, as the only regular G-FAN contributor in attendance, I'll also need to do a write-up for G-FAN. So I have to keep my powder dry for now. In the meantime, here are some photos from the event. With Ann Robinson of War of the Worlds (1953). I watched her movie all the time in fourth grade. Meeting William Schallert, who was a true gentleman. 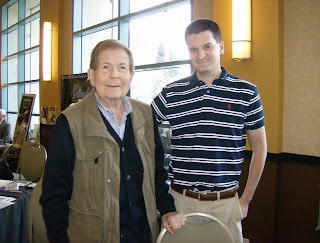 One of the highlights for me was getting to spend more time with Julie Adams. 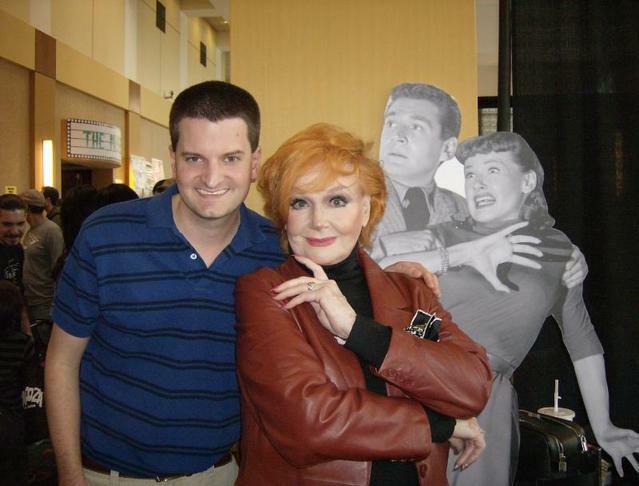 I spoke to her at length about her acting career. That's me with Donnie Dunagan, from Son of Frankenstein. He also supplied the voice of Bambi! 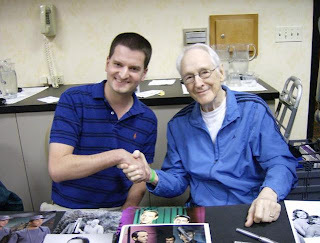 Another highlight was meeting Bert I. Gordon, whose '50s sci-fi films have been favorites of mine. I am envious! Sounds like a wonderful event and glad you had fun! Thanks, Michael. It was a lot of fun, and it's certainly worth attending. Now on to G-FEST! Brett, I first saw your great photos over at CHFB, but wanted to come here and tell you how GREAT they are! Thanks for sharing. 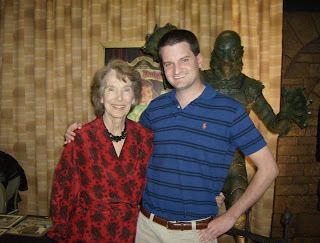 Getting to meet the one and only Julie Adams (CFTBL is my favorite monster movie ever) still has me going "wow, man, just wow!!" Getting to meet all those wonderful pros. Well, you're a pro too Brett. Maybe I can go next year. Thanks! I asked Ms. Adams if she planned to attend next year, and she indicated she would, barring a scheduling conflict. She's incredibly nice, and if you're a fan of hers, she won't let you down! She was my favorite guest the whole weekend, and that's saying something. Six Cult Films from the Sixties now available!